This past spring many of you were worried about hydrangeas looking dead. I wrote about ‘Hydrangea Hysteria’ back in May, explaining that late winter frosts had damaged most mop head varieties, killing them back to their roots. Since then, they have regenerated beautifully, albeit without producing flowers, but the good news is that they were far from dead. The new garden angst right now concerns lawns. Many of you are reaching out for advice and wondering what went wrong this year, blaming your lawn contractor or those who apply treatments. (Quick hint: it’s most likely not their fault!) Here’s a quick explanation of what is going on. First, know that you are not alone. Everyone is experiencing large and small areas of brown patches and die back throughout turf areas. My small front lawn which grows in full sun and has proper irrigation, has never looked worse than it does right now, although it’s slightly better today due to recent rains and cooler weather. Fungal diseases due to wet and/or humid conditions are the cause. There are many varieties of mold and fungus that affect spring/summer turf including, most commonly: brown patch, summer patch sand dollar spot. Tracking back to May and June you might recall considerable rainfall and high humidity during night time hours. This is the worst time possible as this frequency of water at night allowed fungi to explode over a 2 to 3 week stretch. Then came July and August with extreme heat and drought. This compounded the problem for already stressed lawns. 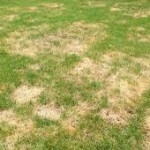 Fungal problems were noted particularly in irrigated lawns where watering frequency and run times were cranked up to address the heat and drought, in some cases doubling the fungus problem. Lawns that were cut too short (a common practice) were also particularly affected. Lawn contractors often set blades low for a short cut that allows grass to maintain a neat look for a full week. This is not a recommended practice as short (or scalped) lawns are always more vulnerable to heat and drought stress. 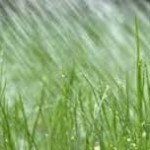 A lawn with longer grass blades has more natural protection for its root system from the stresses of heat and drought. 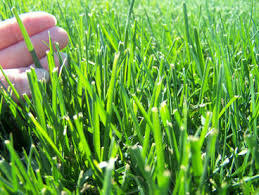 Lawn should be cut high to a 3” minimum at all times, and even higher is better. Irrigation should always be timed to come on in morning hours, around 5 am or anytime up until mid-morning, to allow morning light to dry things out and prevent mold from compounding. Disease treatment is important although for those of you who want to go strictly organic, there is no good control available for fungus. If the fungus is caught early on, one treatment of a mixed fungicide can work. Otherwise two treatments may be necessary. The alternative is to let the fungus run its course and see what happens. If only the blades and not the crown have been affected, the grass could green up later on. If the crowns are affected, slit (or slice) seeding or topsoil plus over-seeding practices will produce new grass in thin or dead areas. The key is to pick seed varieties that are more fungus resistant like tall fescues and bluegrass or mixtures of those two. Bent grasses and fine fescues are not a good choice as they are most vulnerable to fungal problems. Be aware that once fungus is in the soil it will remain there and can become activated at any time by stress. The only way to rid fungus permanently is to apply fungicides. More organic approaches are to minimize stress with better mowing and irrigation practices and then re-seed or replace dead lawn areas as necessary. 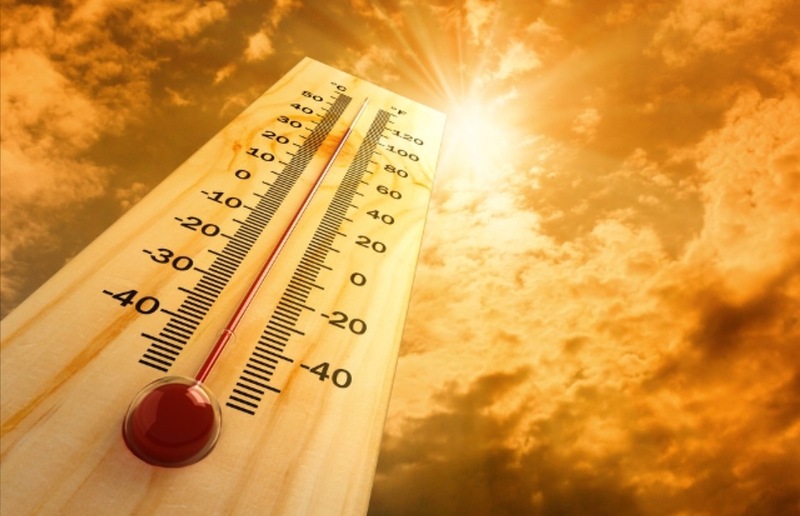 Let’s also be sadly reminded, that this year has been the hottest ever in recorded weather history. Climate change will most likely be the topic of many future blogs as I witness significant changes in plant tolerances to the harsher growing conditions with each passing year. Whatever you do, don’t feel the need to fire the person who mows the lawn or applies your fertilizers and other treatments. He or she most likely has nothing to do with why your lawns don’t look their best right now. This is one year where the grass has not been greener on the other side!